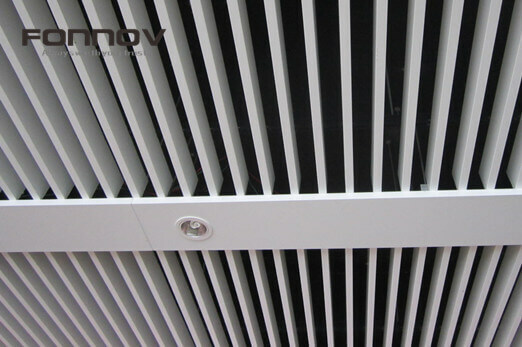 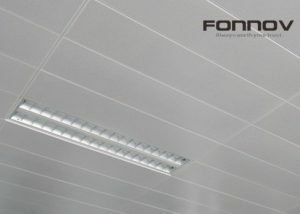 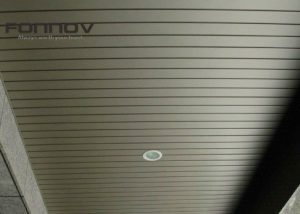 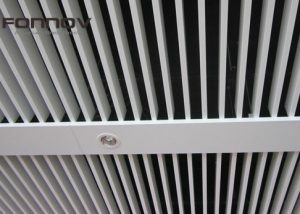 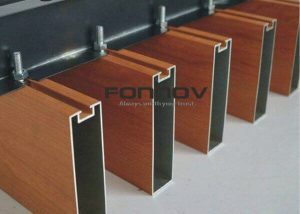 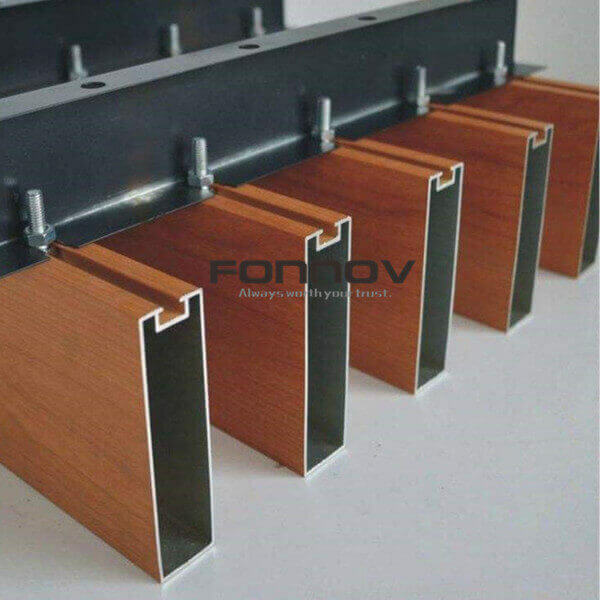 FONNOV ALUMINIUM fabrication factory produce aluminum metal ceilings for interior and exterior usage. 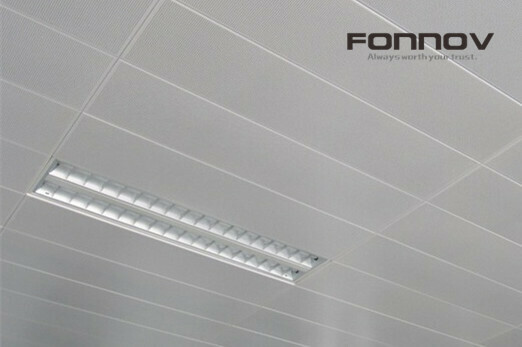 Product series includes LAY-IN ceiling tile, CLIP-IN ceiling tile, baffle ceiling, linear strip ceiling. 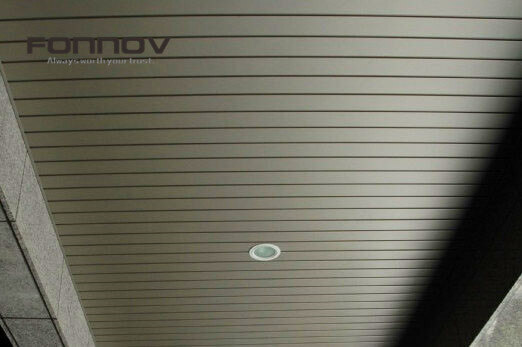 We also produce solid aluminium cladding panels for facade. 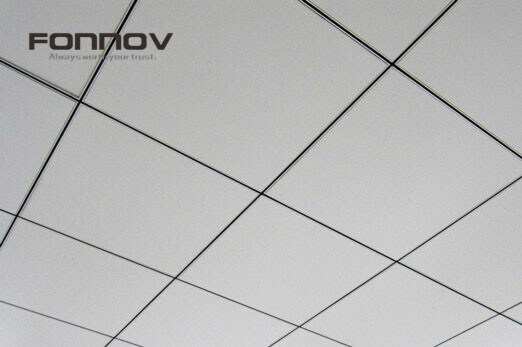 Surface finish can be power coated, pvdf painted, pre-coated, and anodized. 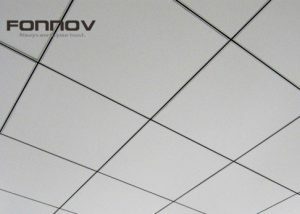 You can refer to the right sidebar to find the exact ceiling series that your project requests.